China is one of the world's ancient civilizations. Its continuous 5,000-year history and traditional culture have enabled it to exert a significant influence on the development of world civilization. 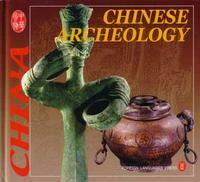 China is a great country with abundant cultural-historical resources. Its vast accumulation of ancient literature, together with successive archeological discoveries, have given her a high place in the treasure-house of the world's cultural heritage. To gain a complete and accurate knowledge of ancient history, man must possess reliable historical data, as well as a correct viewpoint of history. Historical data consists of written records and tangible materials. The former are passed down from generation to generation while the latter are obtained mostly through archeological discoveries. As is well known, written records are unavoidably subjective. Therefore, tangible materials obtained by archeological means - not subjective like written materials are much more credible. They not only can correct historical mistakes passed down in written data, thus helping to restore the original picture of ancient society more accurately and completely, but also can independently answer the historical questions that written accounts cannot, revealing the truths and laws of history's development. For example, when and where were the ancestors of the Chinese nation born? When and where did Chinese civilization take shape? Such major questions of the pre-historical periods are being discussed among Chinese archeologists.